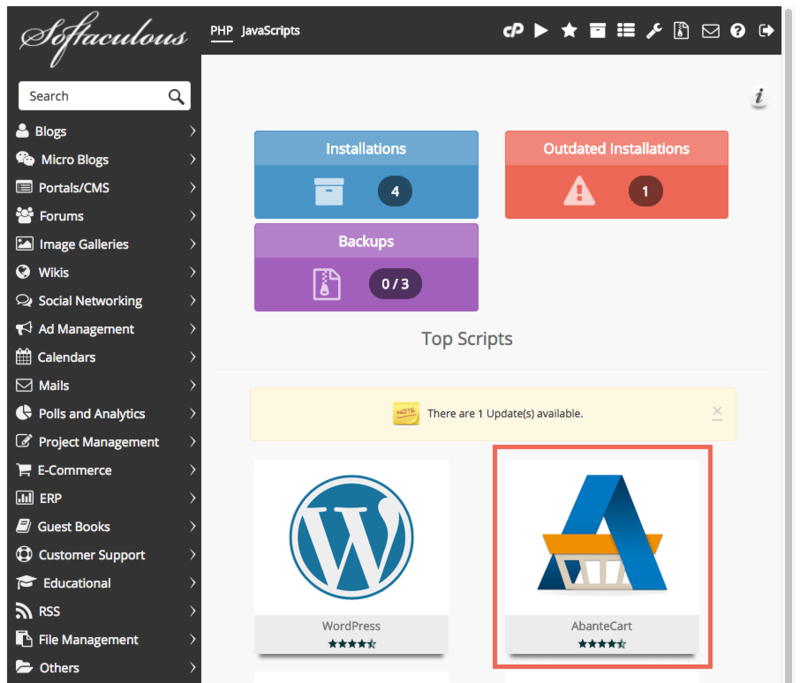 You can install AbanteCart on your HostPapa server via the Softaculous application installer in cPanel. First, log in to your HostPapa Dashboard. Using the navigation bar at the top of the page, select My cPanel. Scroll down the page until you reach the Software section, then click Softaculous Apps Installer. 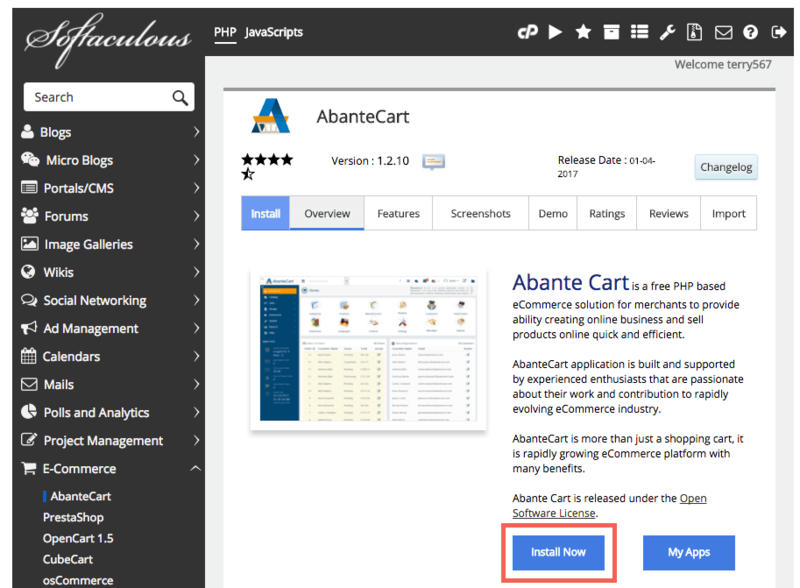 You may see AbanteCart featured as a top script on the Softaculous front page. Alternatively, you can search for AbanteCart in the Search text box located in the left sidebar, or navigate to E-Commerce > AbanteCart. The Software Setup page appears, which is used to configure your installation. Click the dropdown menu next to Choose Protocol to select the HTTP protocol for your store. If you have an SSL certificate installed on your server, you can choose https:// or https://www. If not, go with http:// or http://www. Next, use the Choose Domain dropdown menu to select a domain or subdomain for your store. A subdomain allows you to section off your hosting account to act like a separate website without having to get a new domain name. The subdomain address will have a bit of extra information in front (e.g. subdomain. maindomain.com or www.subdomain.maindomain.com). 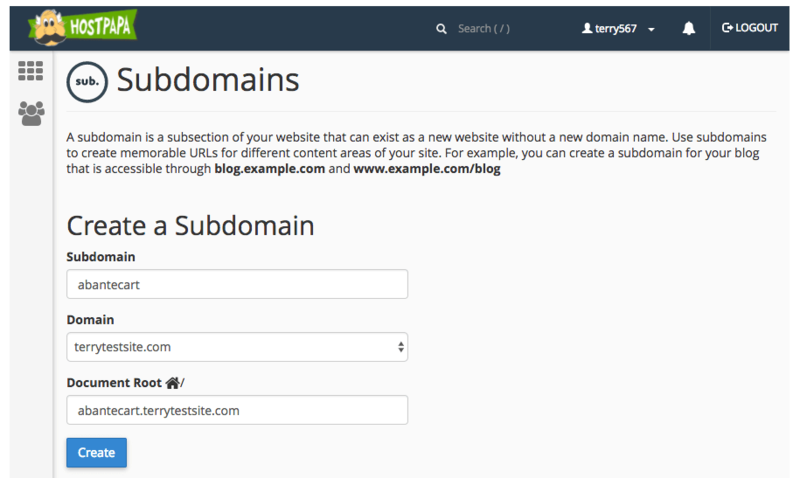 You can create a subdomain on your own from any domain name you have connected to your HostPapa account. If you’d like to create a subdomain for your AbanteCart store, head back to cPanel and navigate to the Subdomains section. Enter your desired subdomain in the Subdomain text box and use the Domain dropdown menu to select the main domain. You will see that the Document Root – the top-level folder for your subdomain – is automatically populated, but you can edit it if you wish. Click Create to continue. Now head back to Softaculous to continue the installation. 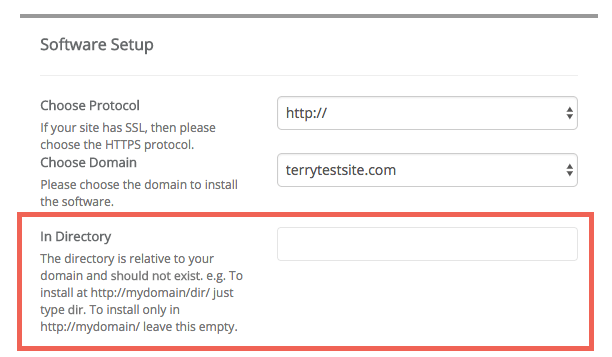 The In Directory field is blank by default, meaning that your store will be installed to the root of your domain or subdomain (for example, http://subdomain.maindomain.com or http://www.domain.com). If you wish to install AbanteCart in a subfolder, enter a folder name in this field. The folder should not already exist and your store will subsequently be accessible at http://www.maindomain.com/myfoldername. 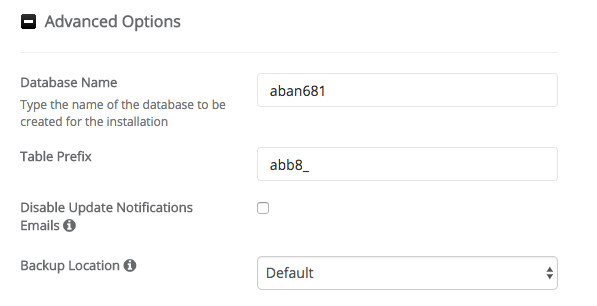 In Site Settings, enter an Admin Folder name, which will be used to access AbanteCart’s administration pages. Thinking of an original folder name (rather than admin) will increase the security of your store. Continue to enter an Admin Username, Password and Admin Email address in the Admin Account section. Again, creating a secure username and password will enhance your store’s security. 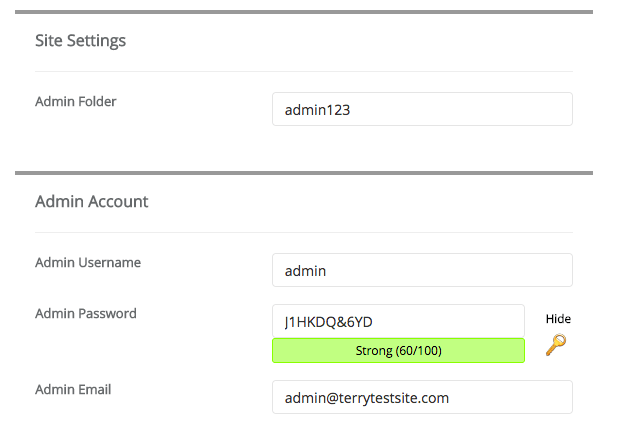 You can click the key icon next to the Admin Password text box to generate a strong, random password. 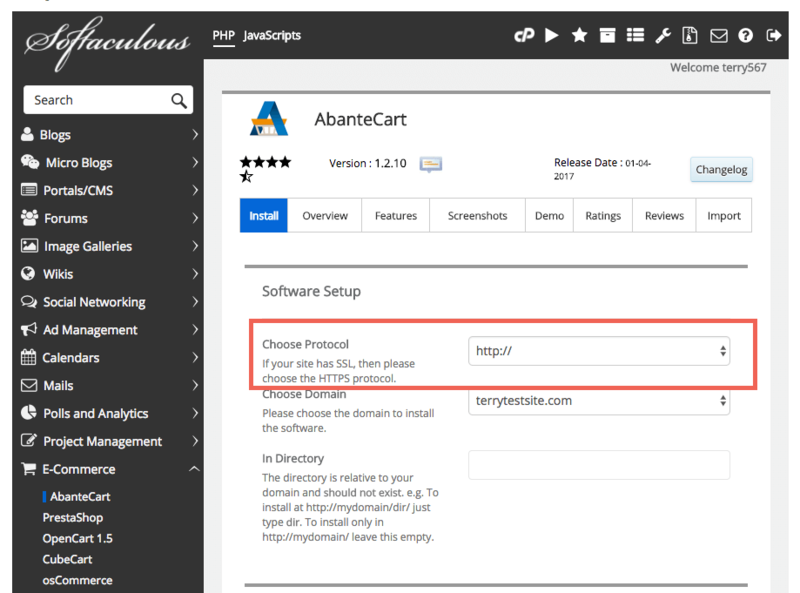 Softaculous will automatically create a database for use with AbanteCart during installation; however, if you wish to edit the Database Name, Table Prefix and Backup Location, you can do so by clicking Advanced Options. You can now click the Install button to proceed. However, before you do so, enter your email address in the text box below the button to have your installation details emailed to you. The software installs in less than a minute and, once complete, you should receive a welcome message on screen with your administration details. Be sure to check your email inbox for full details of your installation. 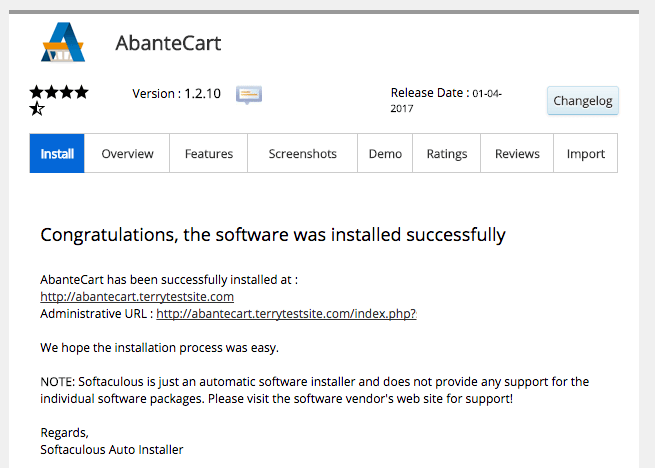 For more information about AbanteCart, please visit http://www.abantecart.com and HostPapa’s knowledge base.